This past summer vacation was a momentous one for the boys. After years of trying to find the right place to teach them, we finally got the boys swim lessons that worked. They learned how to float, how to tread water, how to jump into the pool, and how to propel themselves forward. The boys took to the water quickly and going to the pool became a new favorite activity. Of course, this was fine by me because I love going to the pool. There’s just something about swimming that has always appealed to me. Of course, our increased pool time also revealed a slight problem. You see, unlike my boys, I never had swim lessons. My sister and I would go over our neighbor’s pool and I wound up teaching myself how to swim. I’m fine with swimming above water, but when I go underwater, I do something that drives B up the wall. I hold my nose. Yes, I never learned how to blow out of my nose to prevent water from flooding back in. JSL and NHL know how to do this thanks to their lessons. They can go underwater without clamping their nostrils shut. I, on the other hand, can’t. I’ve tried, but no matter what I do I always wind up with water going up my nose. Then I emerge from underneath the surface gagging and coughing. I know that B wants me to stop with the nose holding out of a fear that the boys will pick up on my bad habit, but I’ve made it clear to them that they are better swimmers than I am because they don’t need to hold their noses. And given that I can one up them in so many ways in the pool (swimming faster, holding my breath longer, etc. ), they love being ahead of me in at least this one area. I began to think that I was alone among adults. 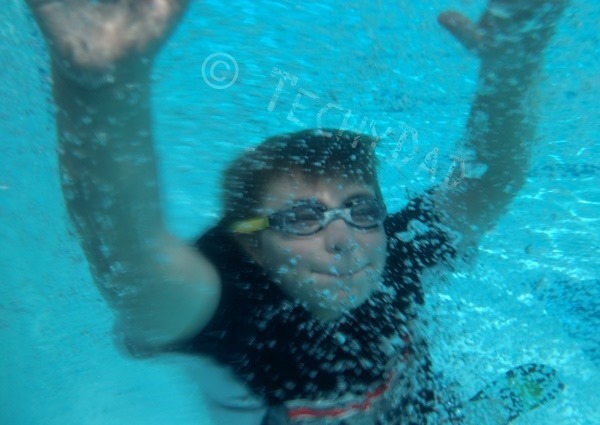 That I was the only one who held his nose when he went underwater. As I mentioned it during various pool trips, though, more and more adults confided in me that they too held their noses when they go under. Perhaps I’m not such an outlier after all. 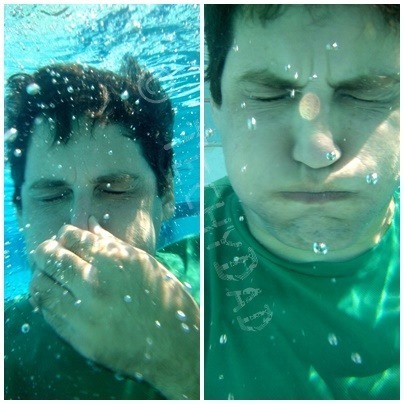 When you go underwater, do you hold your nose? Or can you submerge without obstructing your nostrils?